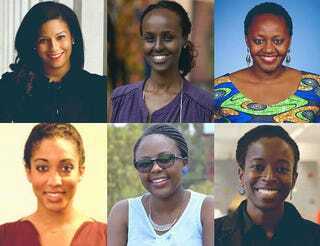 Top row: Ashley Lewis; Haweya Mohamed; Lucy Mbabazi. Bottom row: Maya Horgan Fomodu; Sheilah Birgen; Tayo Akinyemi. Sherrell Dorsey is a social-impact storyteller who started coding at the age of 14 and now speaks and writes frequently on the intersections of sustainability, technology and digital inclusion. Follow her on Twitter.